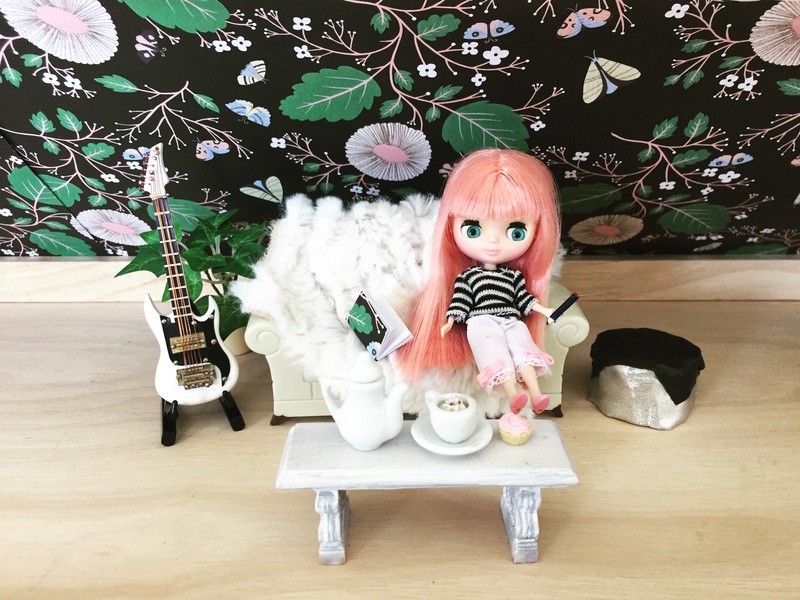 Do you love miniatures as much as I do? How about designer wallpaper? 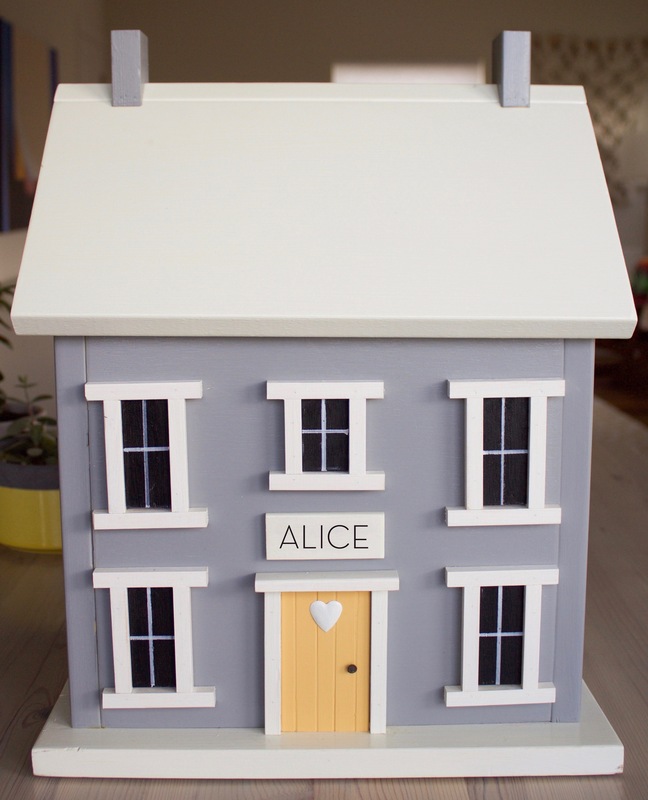 Recently, I decided to create an Easter surprise for my daughter, Alice, by refashioning a customized birdhouse we used for our wedding cards into a dollhouse she can use for her bunny family. 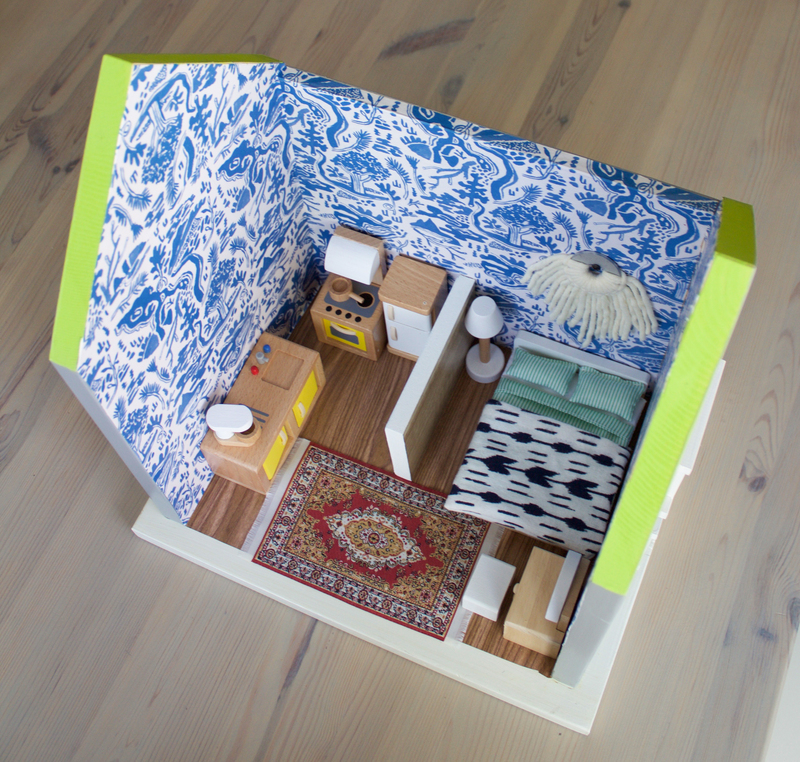 I had to reign myself in from buying deluxe Eames miniatures (come on, she’s two) and adding on rooms to accommodate their lifestyles–good luck if you need a restroom, bunnies!–but I did decide to splurge on that wallpaper. 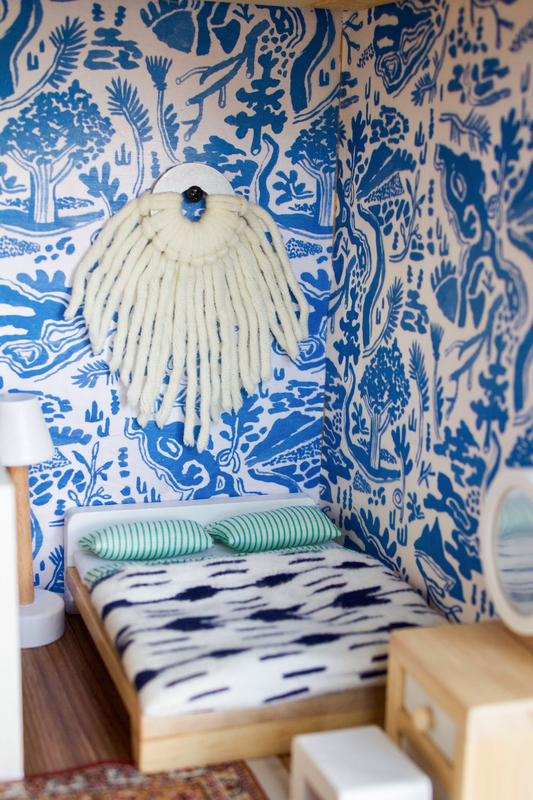 I’ve been searching for the perfect toile for my real-life house for years, so when Danielle released her beautiful River Toile Wrap, I decided to live vicariously through those little bunnies. 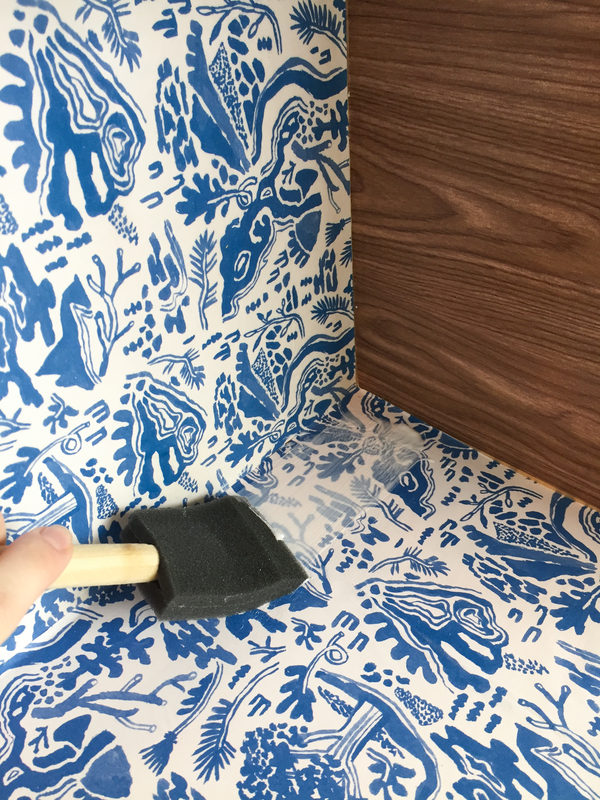 Plus, I was delighted to learn about another house which was also wallpapered to perfection, using Yelena Bryksenkova’s Moth Magic Wrap, by the talented Lauren Duarte. 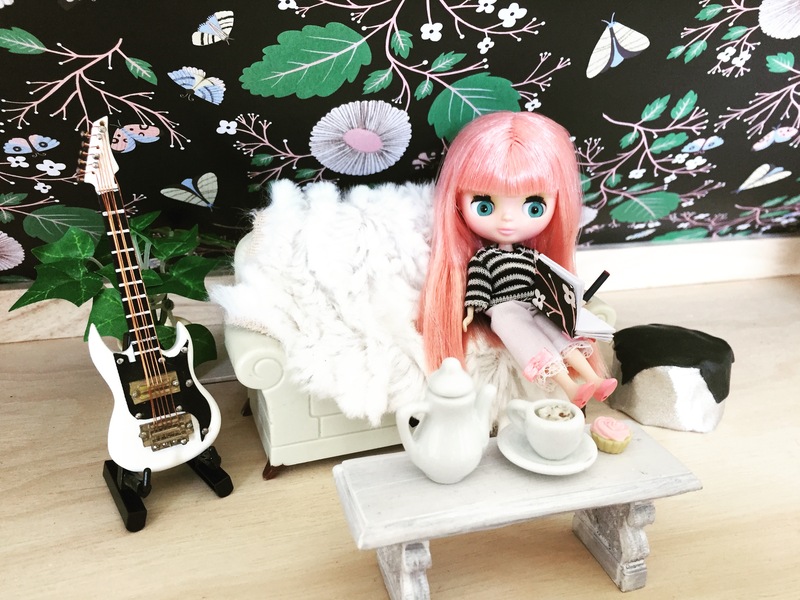 I love this little scene Look at Blythe’s little Moth Magic Notebook! She is way cooler than us all. See below. 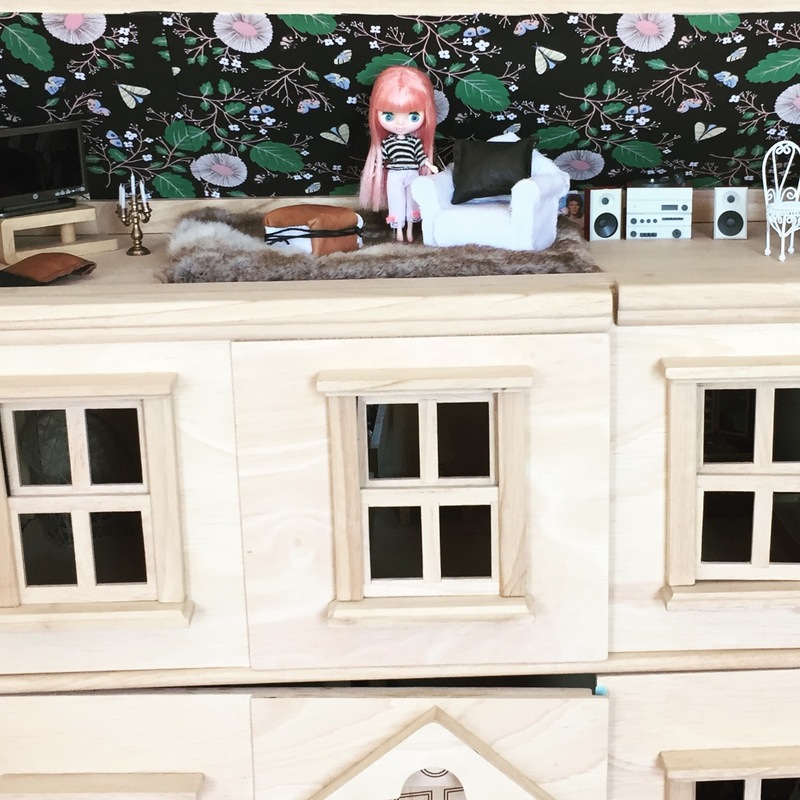 Check out Lauren’s Instagram for some dollhouses that will give you design envy. a House! I popped the back wall off of the house and installed mini tap lights into the detachable roof because it has no windows to let light in. 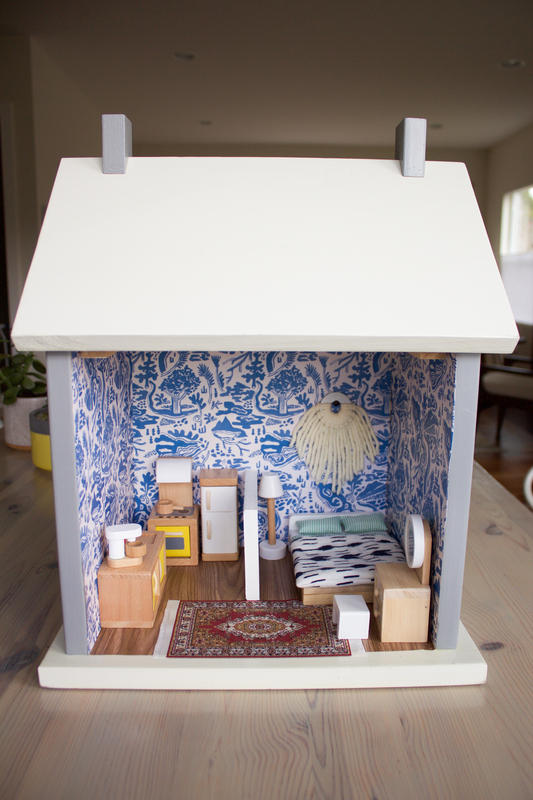 Modpodge and a glue brush (see image below). I used matte modpodge and applied under and on top of the paper to set it, and protect it from sticky fingers for years to come. The paper, of course. I used one sheet of Danielle Kroll’s River Toile. Woodgrain contact paper for the flooring. 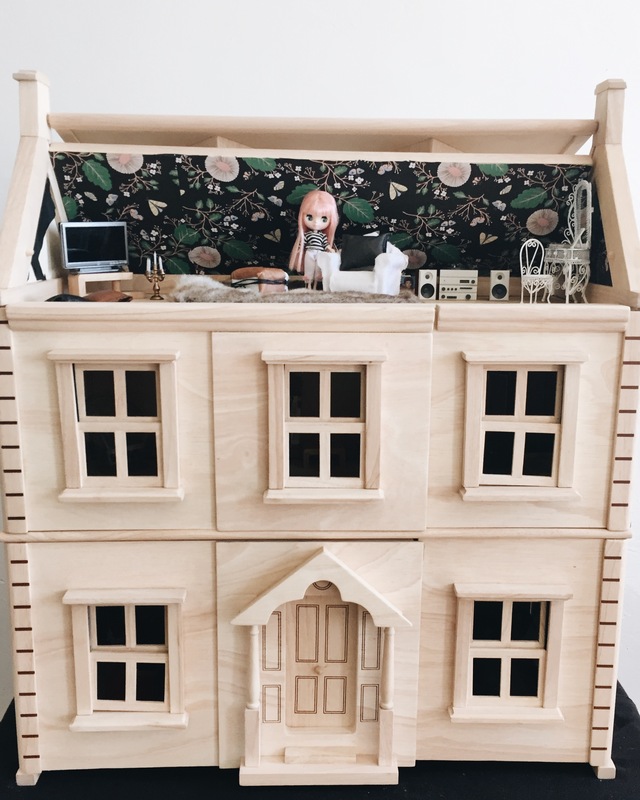 Dollhouse furniture. I ordered mine from Hape and painted over some of the colors with white acrylic. Floor and tile samples from Home Depot for the room separator. Shhh…don’t tell. A tiny Persian rug, because yes. A large metal washer and some scrap yarn to make the woven wall hanging. 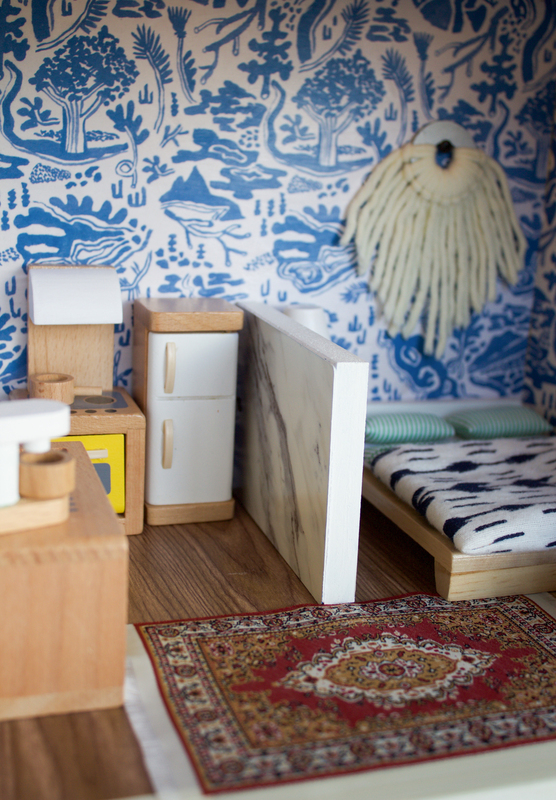 See below for a few more pictures of the tiny space to get your creativity flowing, and check out all of our wrapping sheets (and your future dollhouse wallpaper?) in our shop section.